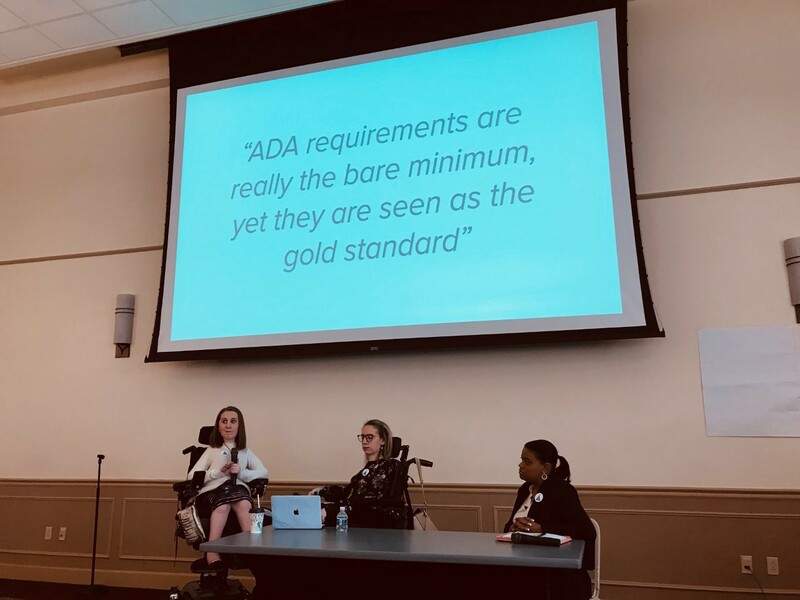 As Timebeleza beat their Brazilian drums and the Pittsburgh Samba Group got everyone dancing, the fourth annual Inclusive Innovation Summit came to a close. After the music ended and the crowds dispersed, our team began processing how the Summit unfolded. After months of planning, we asked ourselves what went well, what could have gone better and what happens next. 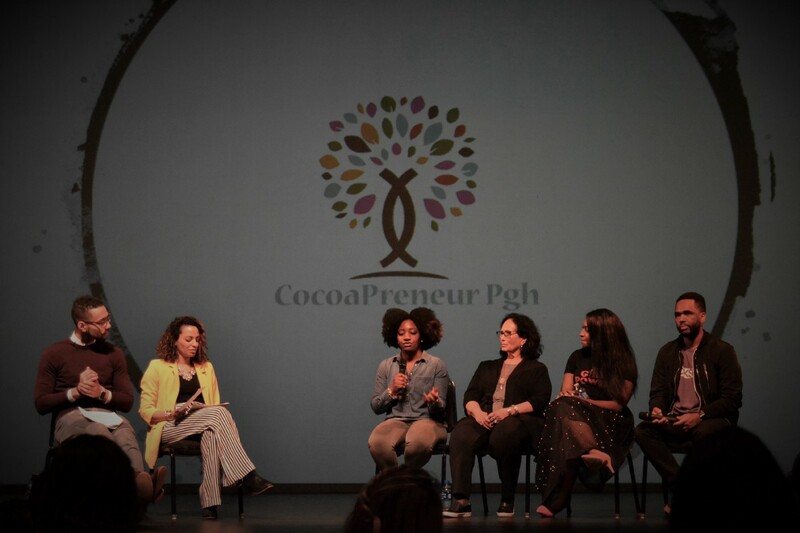 With close to 1000 attendees over the course of the weekend and almost 300 partners, the Summit brought together people from all over the city. But what do those numbers really mean? We hope they mean that 1000 people are talking about inclusion in a way they haven’t before. This shift might come in the form of a blog post like the one Innovation Works wrote. Perhaps it means someone attended CreativeMornings and is demonstrating their commitment to inclusion by participating in the 5-part challenge presented to them on Friday morning. Maybe they went to the Kickoff at the Kelly Strayhorn Theater and are feeling inspired to finally start that business they’ve been dreaming of. Maybe the shift happened during one of the panel discussions, where attendees might have been exposed to organizations they weren’t aware of. 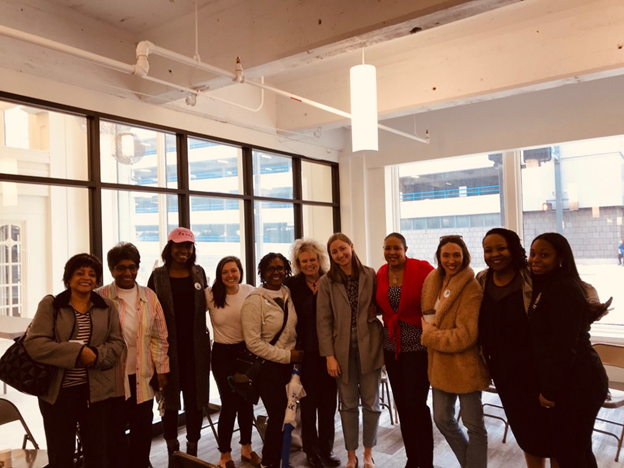 Or maybe it came during a small group session, such as HR Conversations hosted by Kelley Benson, where participants had a frank conversation about the challenges of creating an inclusive workforce. 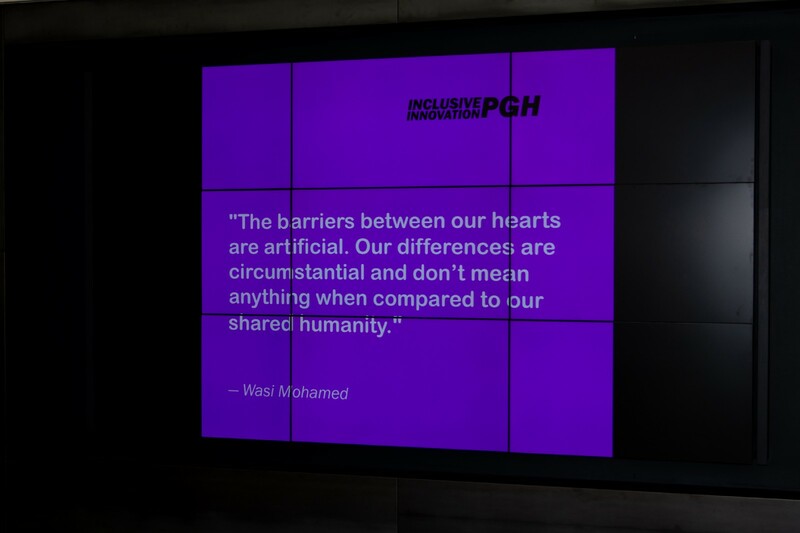 Whatever it was, we hope our partners and attendees walked away with a deeper understanding of the work being done in Pittsburgh around inclusion. And we hope they had some fun. 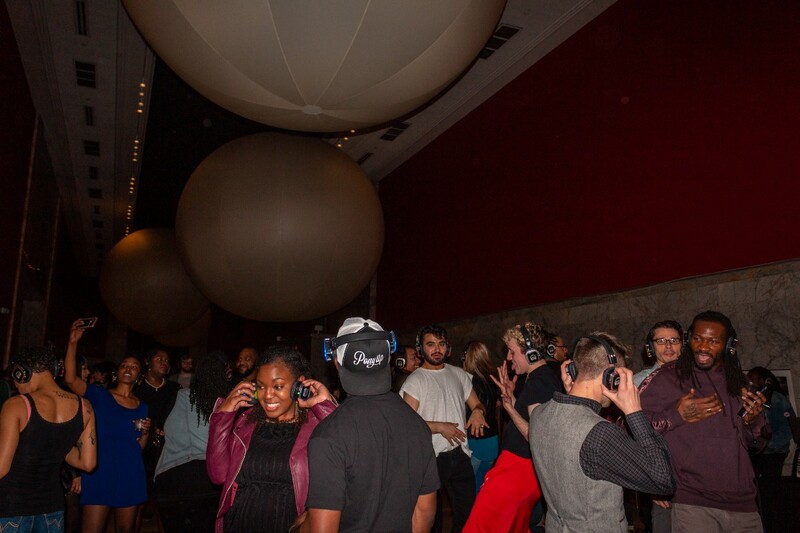 One of the most fun events for us was the All-In Silent Disco, which took place on Friday night at the Children’s Museum of Pittsburgh. It was a great venue with talented DJ’s, delicious food and refreshing drinks. When we looked around at the groups of people dancing and eating tacos, it seemed like we weren’t the only ones having a good time. It’s always important to converse in meaningful ways, but it’s also important (and meaningful) to dance with strangers sometimes. And eat good food. Lunch on Friday was another unique moment at the Summit, held on the eighth floor of the old Art Institute, catered by chefs from around the world. 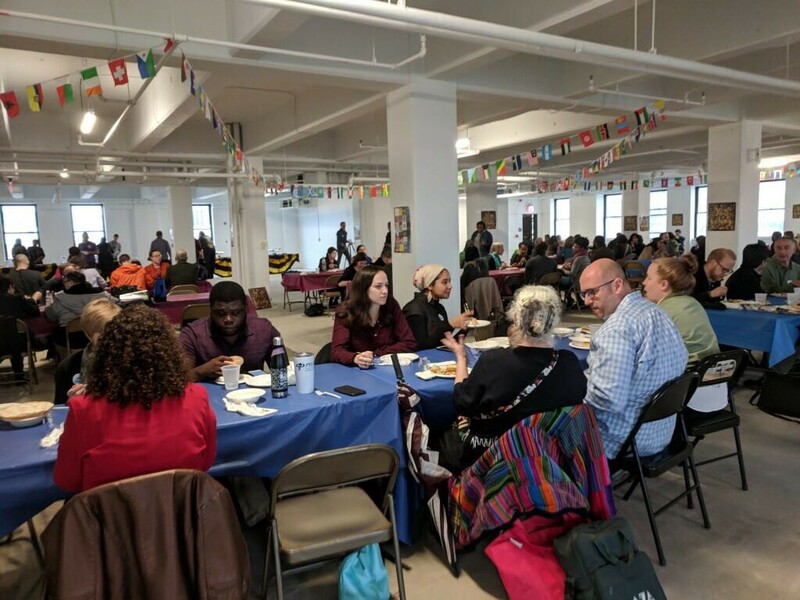 When the Summit ended, some of the caterers reached out to tell us that they received inquiries into business opportunities because of the connections they made during lunch. Pittsburgh can sometimes feel like a bubble, or like a city made up of multiple, separate bubbles that rarely interact. But there were moments at the Summit when it felt like new paths were crossing and bubbles were expanding. The Silent Disco and lunch on Friday felt like two of those moments. We know this work isn’t easy; it’s an ongoing process to become a more aware, welcoming and inclusive city. We have to come at it from every angle and be aware of the complexity and intersectional nature of these issues. 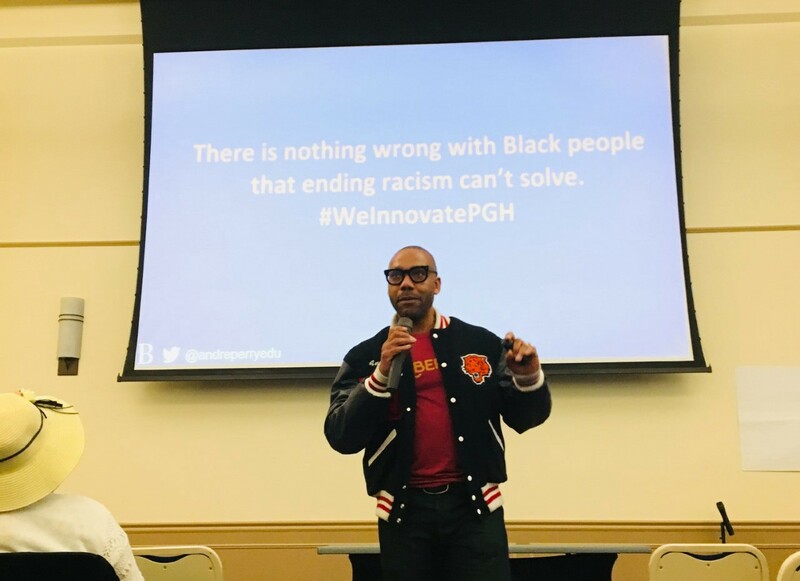 During his talk on Friday afternoon, Keynote speaker Andre Perry urged us to attack ideas, to think big in our efforts to combat some of the systemic challenges that Pittsburgh faces. Perry, a researcher with the Brookings Institute, has a book coming out called Know Your Price about the devaluation of Black people and their communities that I’m looking forward to reading. In the weeks leading up to the Summit, I had the opportunity to interview many of our partners about the work they do. At the end of every interview, I asked each person what inclusion means to them. Their answers had similar, powerful themes: inclusion means meeting people where they are, valuing and encouraging their presence and their voices. More than that though, it’s about constantly taking the next step and asking follow-up questions about who isn’t in the room that should be and then working to change that. It means listening and actively seeking out new opinions. It’s a process, not a goal. Our team keeps this in mind as we move forward, understanding that reaching the Summit wasn’t the endpoint. There are more challenges ahead, but we feel more equipped to take them on after spending three days learning from our partners and we hope the Pittsburgh community does as well. So what are some things we wished we had done differently? We hosted a meetup in January about how we could make the Summit more inclusive of people with mental health diagnoses. During that meetup, we talked with people that work in the mental health field. They had some great ideas: a quiet space, buddies to help people get around, a mental health cafe and lots of signs. We did our best to implement these ideas, but we could have done better. We could have had more signs, more quiet spaces, more volunteers to help people get around, more accessible seating in every program. There were 61 programs over the course of three days this year. From the beginning, we wanted to include as many people in the Summit as possible. We filled the schedule with an impressive lineup of programming from our partners. When we sold out all of the available tickets for every event, we were excited at the prospect of so many people showing up to talk about inclusion. But there was a lot of programming and not a lot of time, so some of our attendees missed out on sessions or had to leave sessions early to get to the next one. It was hard to predict how the event would flow, but now we know that it’s best not to stretch attendees too thin. We learned a lot at the Summit and we hope our participants did, too. We’re circulating a survey right now and looking at the data to get a better grasp on people’s experiences. We hope to gain more insights about how we can improve. We’re grateful for and humbled by all the people who came out, who lent a hand, who offered their expertise and helped us make the event better. That includes our 22 sponsors, without whom the Summit wouldn’t have been possible: URA, City of Pittsburgh, Point Park University, Choolaah, Port Authority, Google, Highmark, Innovation Works, Lyft, Children’s Museum, AARP, Next Act Fund, Remake Learning, Pittsburgh Technology Council, Idea Foundry, HealthyRide, ACCESS, BoardBookIt, Parking Authority, Comcast and Uber. The Summit is over but the conversation will continue so sign up for our email updates to stay in touch. We also host Inclusive Innovation meetups periodically, so join the group to find out when the next one is. There’s always room for improvement and we know Pittsburgh will continue to improve as long as there are people who care and are dedicated. We met a lot of them this weekend. We urge you to reach out to people you met at the Summit. If there was an organization that impressed you, get in touch with them and find out how you can be a part of the work they’re doing. 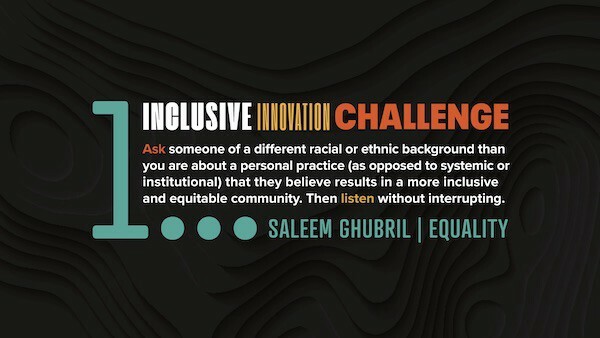 Inclusive Innovation is a joint initiative between the City of Pittsburgh’s Department of Innovation & Performance and the Urban Redevelopment Authority. Stay in touch and learn more about the Inclusive Innovation Summit by signing up for our emails, joining our Meetup or following us on Instagram or Medium.